As long as Telugu Cinema is concerned, even “Bhakti” or devotion is termed to be commercial. Who doesn’t believe in god? There is a business principle even in this belief. When the film is properly made, no devotional film did disappoint in any frame of time for Telugu Cinema. When the devotional film is coupled with fantasy, all sorts of audience would be pleased. Ammoru is one unique film which brought Devotion, Fantasy mixed wonderfully with Visual Graphics. In fact, Ammoru was like a shock to Telugu Audience when it was released. People were stunned wondering “Whether a film can be made even in this way?”. Till then, people were amazed by the graphics in Vithala Charya films and used to feel they alone mean graphics in cinema. But when they saw the magnum opus level of graphics in Ammoru, it was breathtaking. Ammoru is a film which showed that visual graphics can be used at such level in Telugu Cinema. Kodi Ramakrishna’s directional skills, Soundarya and Ramya Krishna’s acting brilliance, Shyam Prasad Reddy’s production values- all these aspects together made Ammoru an unforgettable film. This film was released on November 23rd 1995. Why is this film termed as an Epic film? What were the efforts behind making of it? It is time to rewind to know more about it..
Shyam Prasad Reddy made a movie Agraham starring Rajasekhar. When the film flopped at the box office, he was very worried. He felt bad that despite honest efforts the film could not be successful. In order to come off that melancholy, he left for USA and he happened to meet a person named Lin Wood. Lin Wood is a specialist in Visual Effects. When Shyam Prasad Reddy watched Terminator-2 along with Lin Wood in the US , he was flabbergasted seeing the visual impact it made. Suddenly he started wondering why such a film cannot be made in Telugu. He immediately flew back to India and made a story ready for the project with his production team M.S.Arts. That story was none other than Ammoru. They chose Y.Ramarao, who worked under A.Kodandarami Reddy as the director. 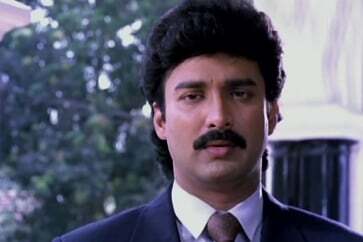 Chinna was casted for the role of the Magician in it. 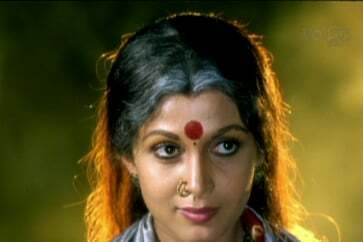 Ramya Krishna was selected for the role of goddess Ammoru. When it came to select the devotee, lead role of the film - lot of discussions happened. Then Babu Mohan suggested Soundarya for the role. Soundarya - who was already doing her first film Manavarali Pelli in Telugu, accepted for her second film Ammoru. Chakravarthy was selected as the Music director and the remaining technical departments were finalized in a rapid fashion. 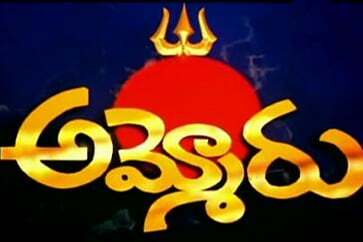 Hence, the filming of Ammoru began on 1992 July at Ayinavilli, East Godavari District. The filming was finished in three months. Shyam Prasad Reddy left for London to finish off the graphics work relating to the film and when he watched the outcome , he was utterly shocked. The shock was because nothing in the film looked as he expected it to be. He was not at all happy with the result and hence returned to India. He kept aside the complete film which was taken till then and requested Kodi Rama Krishna to re shoot the complete film again. Kodi Rama Krishna readily agreed as he is very close to the M.S.Arts production house and its people. 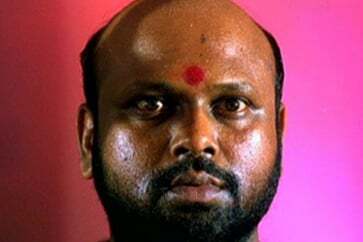 When the film moved to Kodi Ramakrishna, he immediately took off Chinna as the magician and replaced him with Ramireddy. The remaining cast and crew was very much the same. The filming began yet again. Hence Ammoru became a film which was shot twice! That was why the making of the film took nearly four years to complete. Shyam Prasad’s friend from USA, Lin Wood did the graphics work for the film. His amazing skills made the film to shine like a precious pearl! As Chakravarthy was down with ill health, his son Sri composed the music for the film. The film was made at a budget of 1 Crore 80 Lakhs. Such budget was a matter of debate because it was made with a cast who didn’t have much star value. Soundarya’s remuneration for the film was Rs. 40,000/- for this film. A village gets affected by a contagious plague and becomes like a graveyard. The villagers pray to Ammoru for solace. The goddess Ammoru comes to the village to solve the problem and because of a word given to a devotee of the village, she stays back there itself. 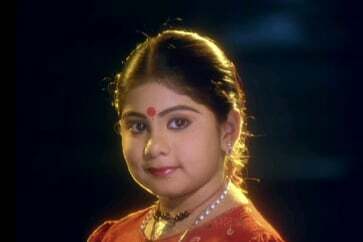 Bhavani (Soundarya) is a huge devotee of Ammoru. Suryam (Suresh) gets married to Bhavani in unexpected circumstances. But Suryam’s sister is against the marriage. He plans to get rid of Bhavani by hook or crook and get a second marriage for Suryam. Gorka( Ramireddy) a magician stays in the same house. 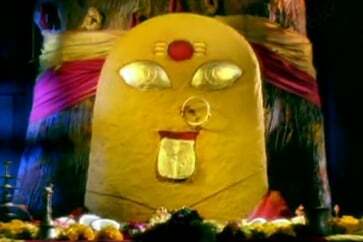 He believes in dark forces and prays Kshudra in order to attain them. Once, Bhavani gets Gorka arrested for his wrongdoings. Gorka develops tremendous hatred on Bhavani due to this and waits for a right opportunity to seek revenge on her. The right time arrives for Gorka. When Surya leaves for USA for official work, Bhavani’s in-laws picturize to the whole village that Bhavani has become mentally ill. They make her suffer in every way possible. How does Bhavani overcome her troubles? How does Ammoru come to Bhavani’s rescue at this crucial time? What is the lesson Ammoru teaches the evil people in Bhavani’s house forms the rest of the story. Though the story sounds old, or doesn’t look like a great theme at the first look - The way Kodi Ramakrishna treated it makes the audience find it intriguing. Kodi Ramakrishna showed his style in every frame with respect to this. The viewer gets so involved in the story when he feels sad for Bhavani’s sad plight. Kodi Ramakrishna made great use of this technique. The viewer travels along with Bhavani right from the first frame of her appearance. The battle between divine force and dark force is always interesting and the director showed it in a much more interesting manner. This was Soundarya’s second film. But she acted as if she has already acted in at least 100 films by then! She excelled in every scene. This film made Telugu audience realize the acting talent in Soundarya. Her acting was wonderful in Sentimental scenes along with climax scenes. This film was a milestone for Ramya Krishna as well. For an actress who was predominantly working in glamorous roles, this film raised many questions among the audience and the film industry. People sneered at the thought of Ramya Krishna acting as the goddess Ammoru. She answered all these misgivings with her fantastic performance. The audience got goose bumps in theatre when they saw the aggressive phase of Ammoru. Some people even got “poonakam” ( A term used for divine trance which devotees of village deity get). This film earned great name for Ramireddy as well in a negative role. It even made him busy for years to come as the undisputed choice for negative roles. Kallu Chidambaram and Baby Sunayana got very good name after acting in this film. Ammoru took Telugu Cinema to a new level with regards to Technical Values. This film was an eye opener to those people who thought graphics are confined to only Hollywood films. With Hollywood Visual Effects supervisor Lin Wood working for Ammoru, the film reached the international standards. For a film which relies on Visual Effects, Photography and Editing also become crucial. These two departments were excellent as well. The climax scenes were not only the magic of the Visual Effects, but also the Editing skills of Krishnareddy. Music by Chakravarthy and background score of Sri were the main assets of the film. Amma Ammoru Thalli, Kaalam Teliyani Sukham, Adhigadhigo Kadhilaru Adhi Devathalu..in short, all the songs formed the base for the story. Ammoru was released on November 23rd 1995. It was running fairly in the initial days. But as it ran , the film became a tremendous hit. Theatres became like Temples and places of worship. As if to get blessed in a temple, people flocked to theatres for watching the film. Perhaps no other film in Telugu Cinema is there which got Women audience to watch it in such admiration. 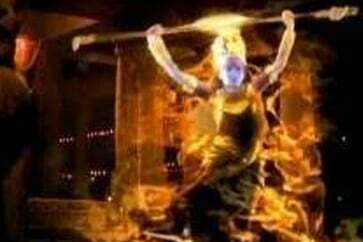 After Ammoru, many films came in the collective theme of devotion and Visual Effects. But they couldn’t achieve such a big success as Ammoru did. This film was dubbed into Hindi, Tamil, Malayalam, Oriya and Bhojpuri languages as well and it was successful even there.